Tickets include wine tastings and a cheese plate! We will have over 35 different wines from all over the world available for sampling! Want to have your wine featured at Chicago Wine Fest? 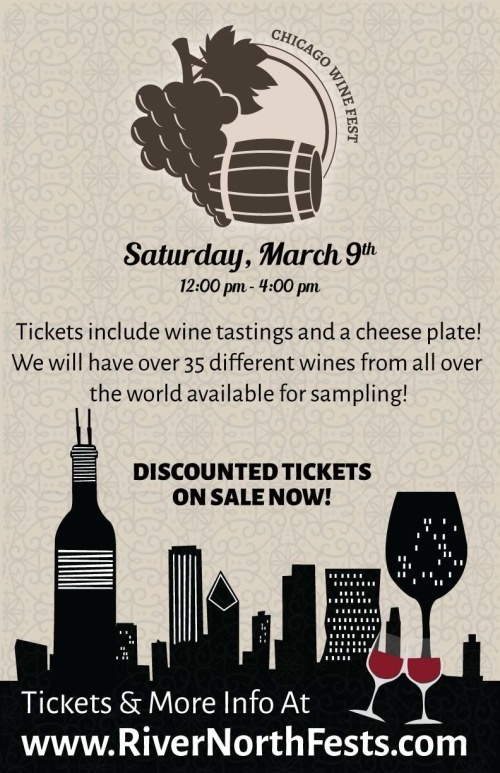 E-mail us at Wine@RiverNorthFests.com now to find out how to sample at any of our upcoming events! -Fundraising Opportunity: Are you trying to raise money for a certain cause? Email Wine@RiverNorthFests.com for more info! -Want to earn a free ticket and some cash for spreading the word? Email Wine@RiverNorthFests.com for more info!